There are a lot of picturesque places, eye-catching monuments and modern museums in Poland. Kraków, Gdańsk, Wrocław and Warsaw have already entered Lonely Planet guidebooks for good, and are a must-see on every tourist’s itinerary. Until recently the capital of Upper Silesia was nowhere to be found there. 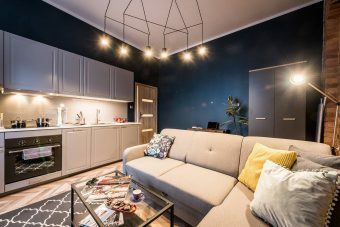 Today, however, Katowice is an example of a successful urban transformation, and the city’s vibrant attractions grab the attention of an increasing number of tourists. 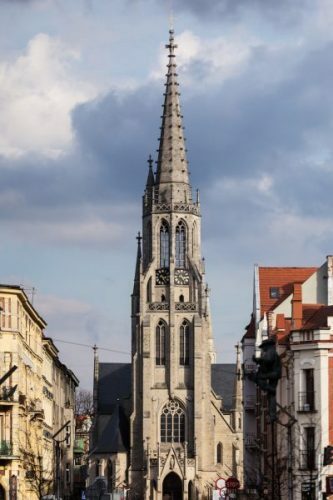 What makes Katowice stand out so much from other Polish cities? There is no medieval market, tenement houses or extensive river boulevards there, unlike in any other Polish cities. So,why do more and more people perceive Katowice as a new centre of Polish culture, architecture and urban life? After all, a few years ago Katowice was associated mainly with coal and heavy industry, and tourists practically did not come there. 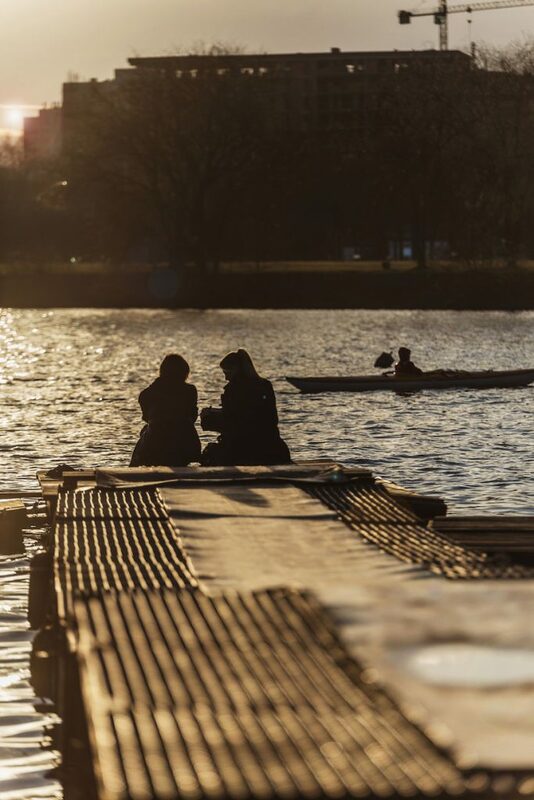 The answer is as simple as it is complex: change – this is why the city arouses curiosity and has so much to offer. Probably nowhere else in Poland has it been possible to rebuild the city centre so thoroughly, effectively and fast (just in 10 years) and embed in its structure new points recognisable in the whole country. 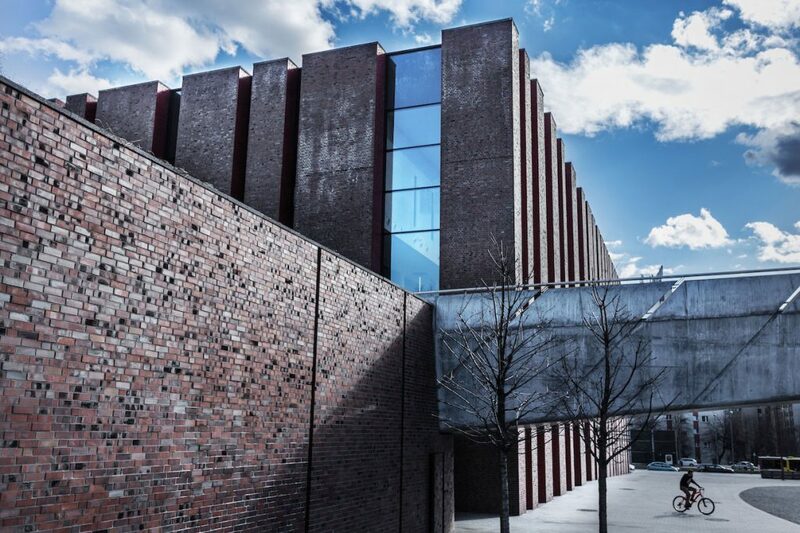 At the same time, the past of Katowice and its region has not been forgotten; post-industrial objects have been revitalised and new applications for them have been found. 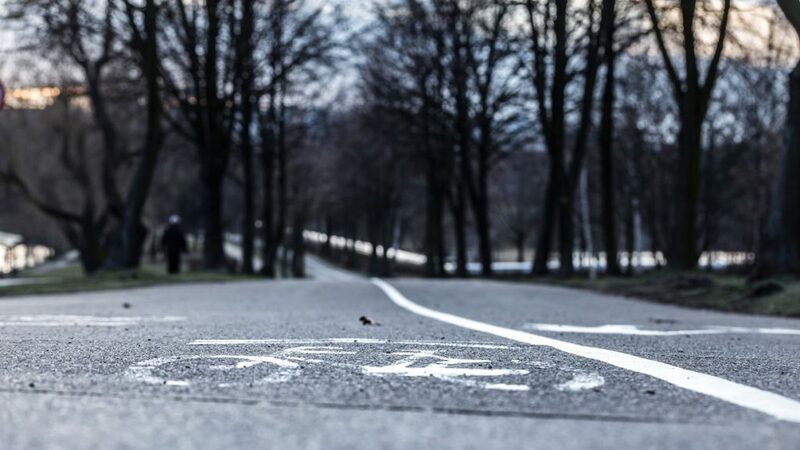 Dozens of new gastronomic and cultural spots have sprung up in the city, and the already recognised festivals have found a permanent place there: Katowice Street Art AiR, Tauron Nowa Muzyka, OFF Festival and Jazz Art Festival. 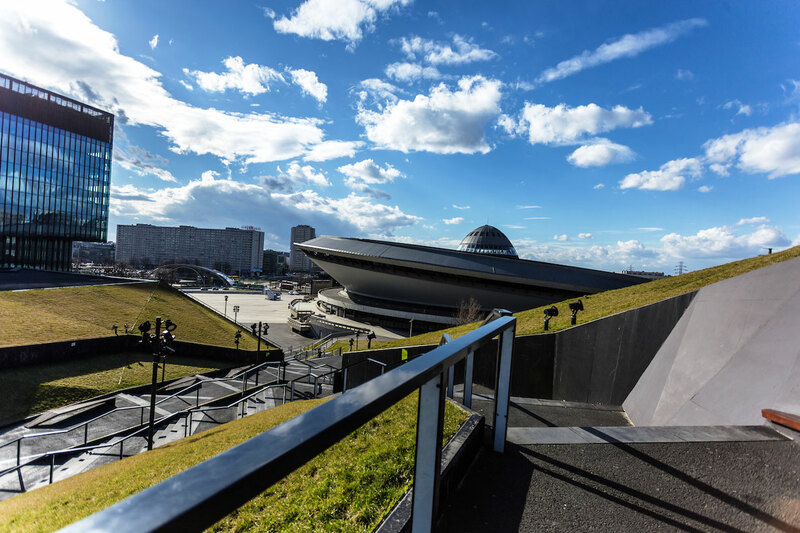 So let’s take a look at the 9 places that you must visit in Katowice! 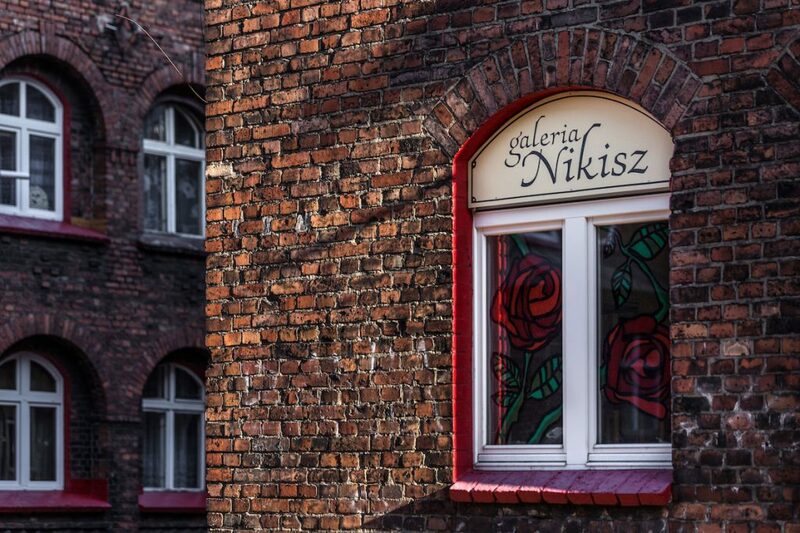 Characteristic brick, red window borders, flower mosaics on the walls, attractive architectural details – if we were to mention one place that is inevitably associated with the past of Katowice and the entire region, it would certainly be Nikiszowiec. 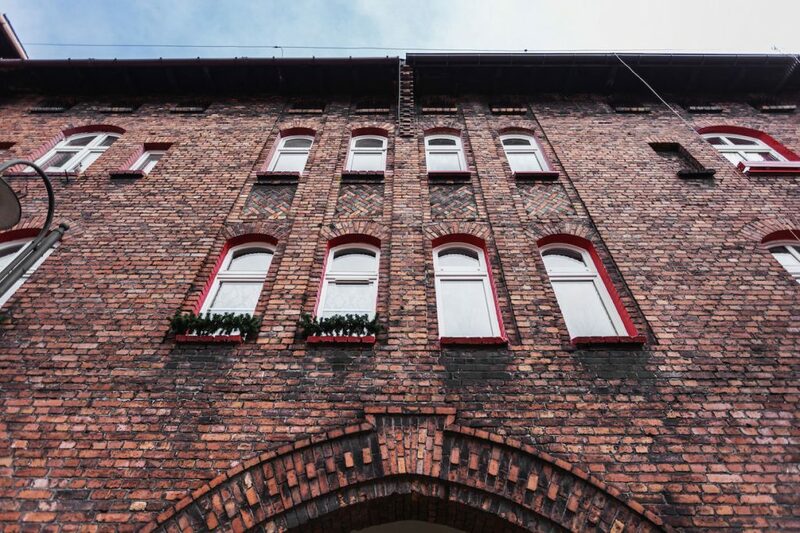 This workers’ housing estate, which was built for mine workers between 1908 and 1918 on the initiative of the mining and metallurgical company Georg von Giesches Erben, together with the nearby Giszowiec (also a must-see) is the best example of this type of architecture in Europe. It was designed as a self-sufficient housing estate offering workers all necessary facilities – such as shops, schools, inns, church, laundries or bread baking ovens. Everything in a uniform but not boring architectural style. Having been neglected for so many years, today’s Nikiszowiec finally becomes a real tourist gem, which regains its former splendour (it is even said to be inscribed on the UNESCO World Heritage list). 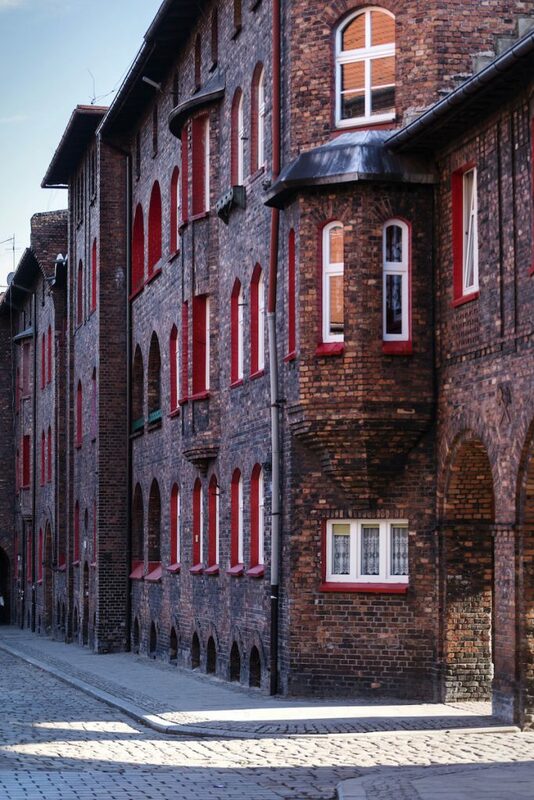 Strolling around the local streets, looking at the local market or the City Ethnology Department of the Katowice Historical Museum, where you can see the designs of contemporary apartments – you can feel the spirit of past times. 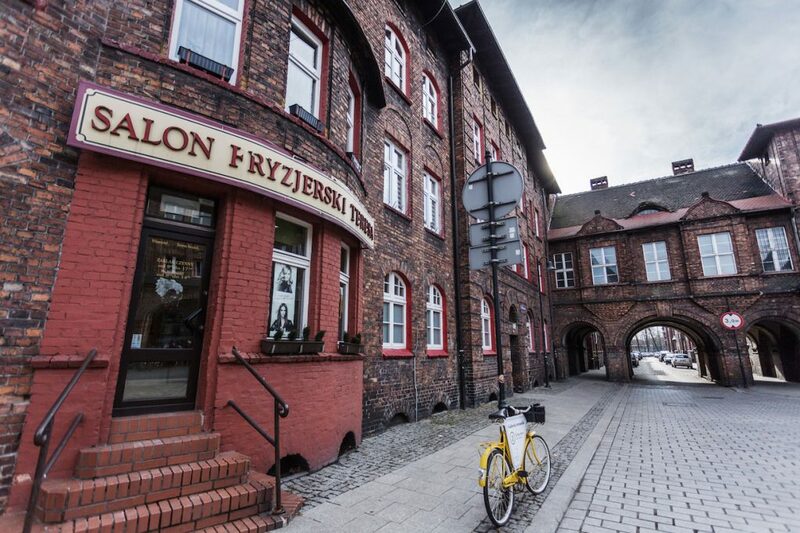 Where to eat: after the walk, it’s good to take a look at the Silesian Prohibition kept in a 1920s style and serving traditional dishes of Silesian and Polish cuisine. To get sweets or fresh bread, you should go to Cafe Byfyj. Sightseeing time: approx. 1.5 hours. How to get there: public bus 72 or 292 is several minutes from the centre. Even in the 1990s, in the place where there are currently three architecturally unique objects, coal was still mined. 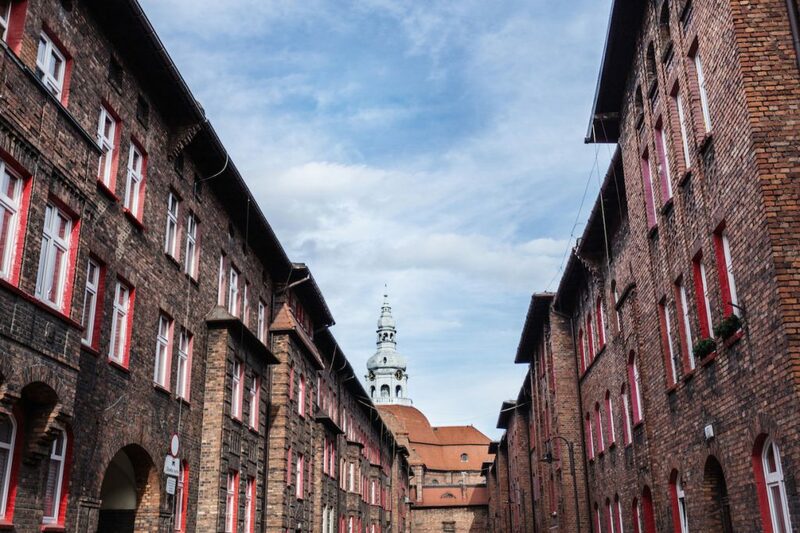 Today the area around the former “Katowice” mine is teeming with life and is the cultural and entertainment heart of the city attracting hundreds of visitors. It is a perfect example of making use of the post-industrial area and regaining urban space for residents. 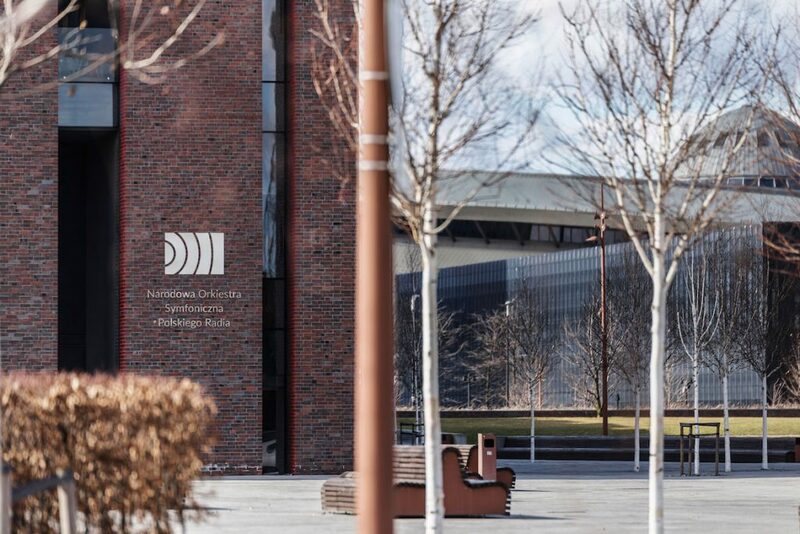 The centre of the former mine itself and the post-industrial buildings were used to build the new seat of the Silesian Museum. There we will find both the Gallery of Polish Art 1800-1945 with paintings by the eminent Polish painters such as Gierymski, Matejko or Stanisław Ignacy Witkiewicz, and more modern art, after 1945, where you can see the works by Zdzisław Beksiński or Zbigniew Libera. The most impressive, however, seems to be the multimedia exhibition dedicated to the history of the region: “The Light of History. 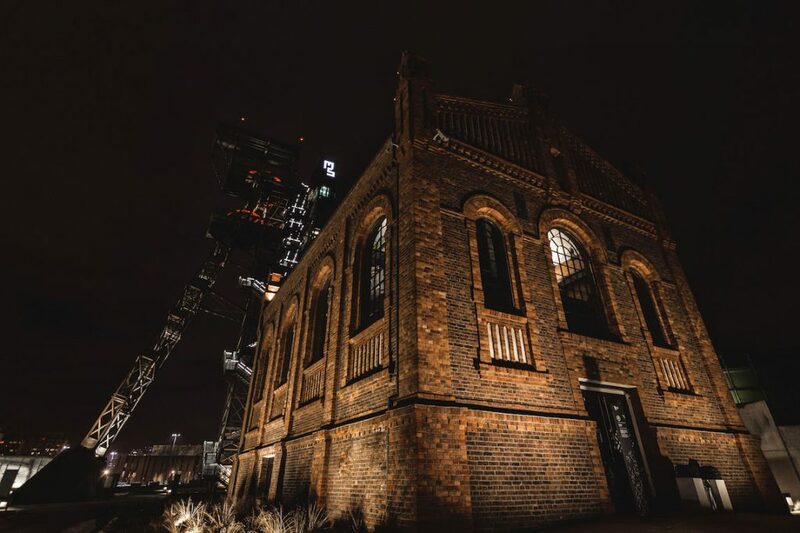 Upper Silesia Over the Centuries “, which starts with a passage through the real hall of the former Katowice mine. 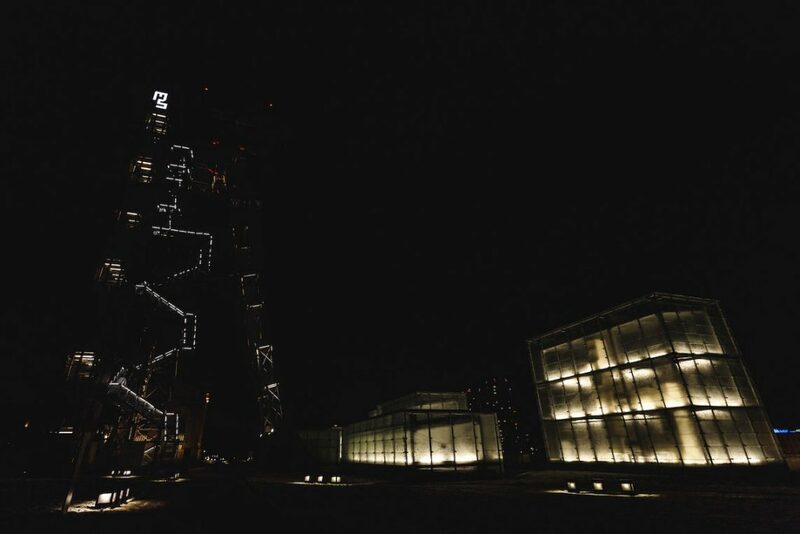 It is worth noting that most exhibition halls of the museum are located 13 metres underground, and the mine shaft itself was used as an observation deck, from which you could admire the panorama of Katowice. It’s best to visit the museum on Tuesday, which is a free admission day. Sightseeing time: approx. 3-5 hours, depending on the number of exhibitions you plan to visit. How to get there: from the Katowice area, you can get there by almost 30 bus and tram lines, the nearest stop is Katowice Strefa Kultury. The museum is closed every Monday. Where to eat: directly in the museum there is Moodro Restaurant and Moodro bistro & cafe, in the break between visiting individual exhibitions, so you can go for coffee and dessert or even for an appetizing lunch. The huge red lump of the Polish National Radio Orchestra refers to the previously mentioned Nikiszowiec. It’s impressive from the outside, but it’s just a prelude to what’s waiting for visitors inside. 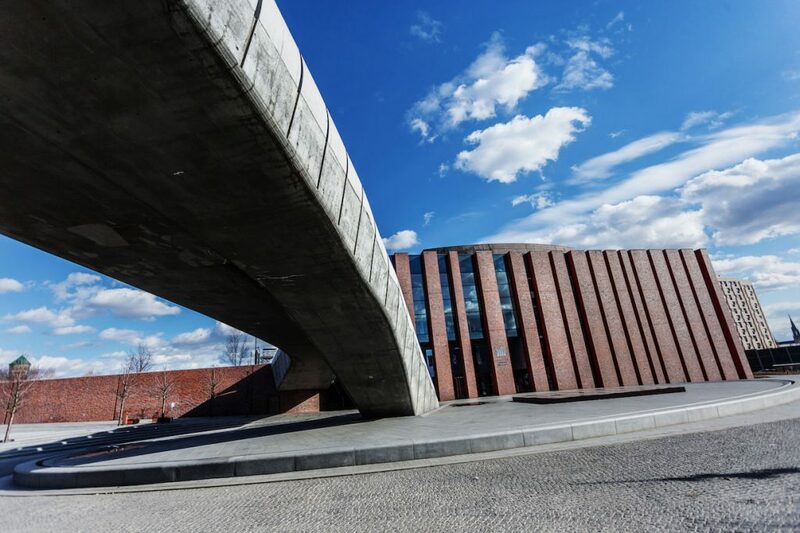 The hall, which can accommodate 1800 music lovers, literally takes your breath away and acoustics are considered to be one of the best in Europe – thanks to natural materials used for the interior design (mainly trees) and the painstaking work of Japanese engineers. Of course, NOSPR is best visited during one of the many concerts, because it is only then that it comes alive with the fullness of sounds. Sightseeing time: it’s best to attend one of the numerous concerts, tickets must be booked well in advance,though. How to get there: there are almost 30 bus and tram lines from the centre of Katowice to the Zone of Culture. The nearest stop is Katowice Strefa Kultury NOSPR. A walk from the centre will take a few minutes. Where to eat: meals served in the Cadenza restaurant are on the same level as the artistic achievements of the Polish Radio Orchestra. It is necessary to feel these aromatic notes. 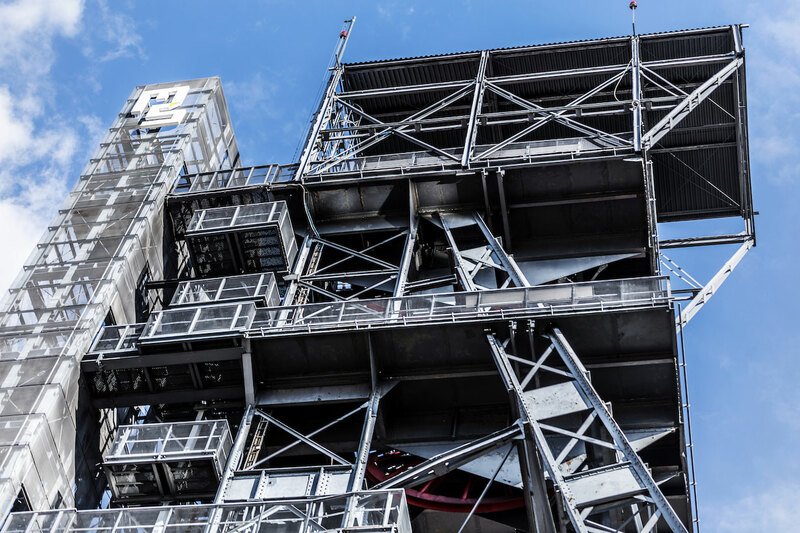 The structure of the last building, which fits squarely into the city panorama and perfectly contrasts with the well-deserved and recognisable Spodek, was, on the contrary, inspired by coal. Although the MCK (International Congress Centre) is not a building that can be regarded as a typical sightseeing object, its unique shape and green roof effect made it something more than an ordinary conference venue. Today the Green Valley (i.e. the name of the pass between the two parts of the building) is a place of rest and meetings in the very centre of the metropolis. 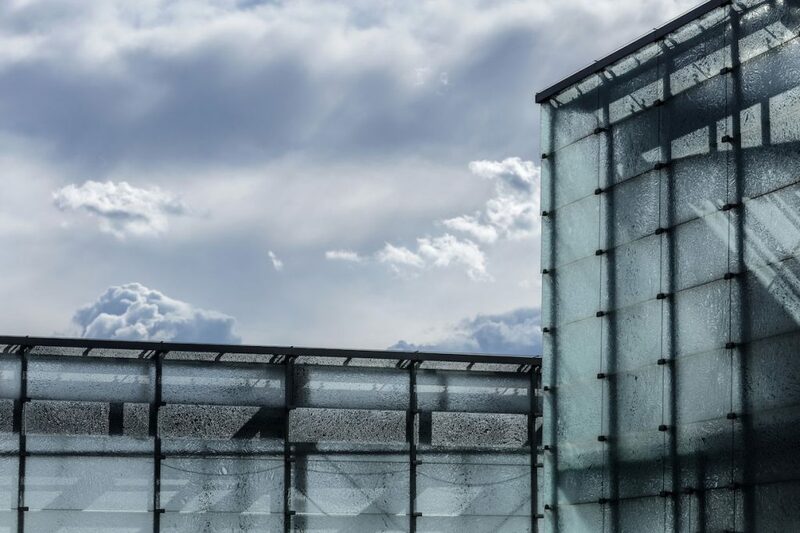 It is worth going for a walk to admire the shape of the famous Spodek from the terrace of the MCK leisure centre, which after almost 50 years from its opening is still regarded as one of the most original buildings in the country. 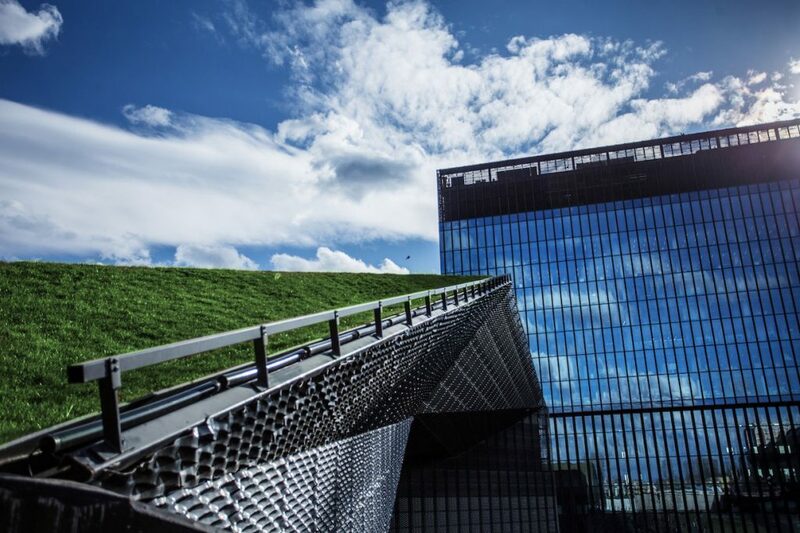 Both objects create a unique architectural space that reveals the new face of Katowice. How to get there: nearly 30 bus and tram lines from the centre of Katowice, the nearest stop is Katowice Strefa Kultury. It’s best to take a walk there. 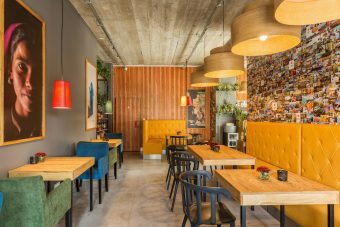 Where to eat: between the NOSPR and MCK there is ISTO restaurant which serves modern Polish cuisine. You should definitely familiarise yourself with its unique menu. Talking about relaxing and lazing about, the best place is the Valley of Three Ponds. Sztauwajery is the Silesian name commonly used to describe the green area situated several minutes from the city centre – It’s a perfect place for roller skating, renting a city bike or reading a book while sitting or lying on a blanket. There are many paths, a skatepark, several restaurants and three extensive ponds, where you can chill out enjoying the peace and quiet. In the summer, it is the venue of the most recognisable Katowice music event – i.e. OFF Festival. Sightseeing time: how much do you think lazy time takes? 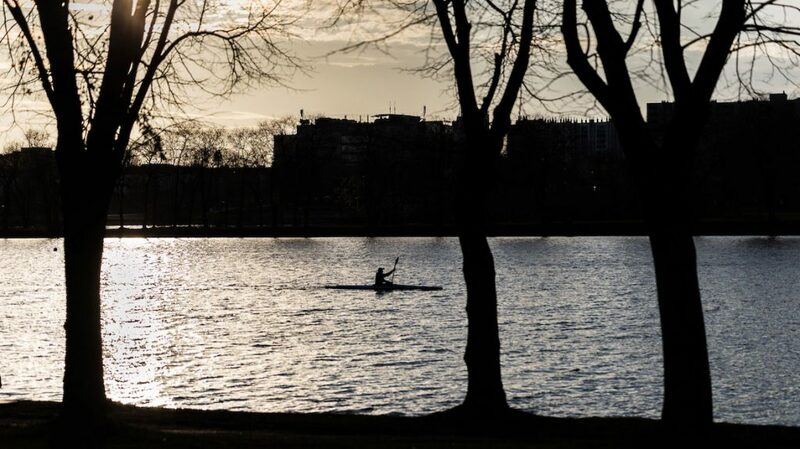 In our opinion, 2-3 hours are perfect to take a break from the hustle and bustle of the city – especially in warmer months. How to get here: bus lines 672, 674, 910 from the Katowice Dworzec station. A walk from the centre takes several minutes. Where to eat: in the season, we strongly recommend relaxing at the Sztauwajery bistro container buildings. Although one of the largest municipal parks in Europe is not centrally located in Katowice but on its border with the city of Chorzów, this place must be visited. Created in the 1950s in the post-industrial wasteland, the green area is twice as large as the famous Central Park in New York and four times larger than London Hyde Park. 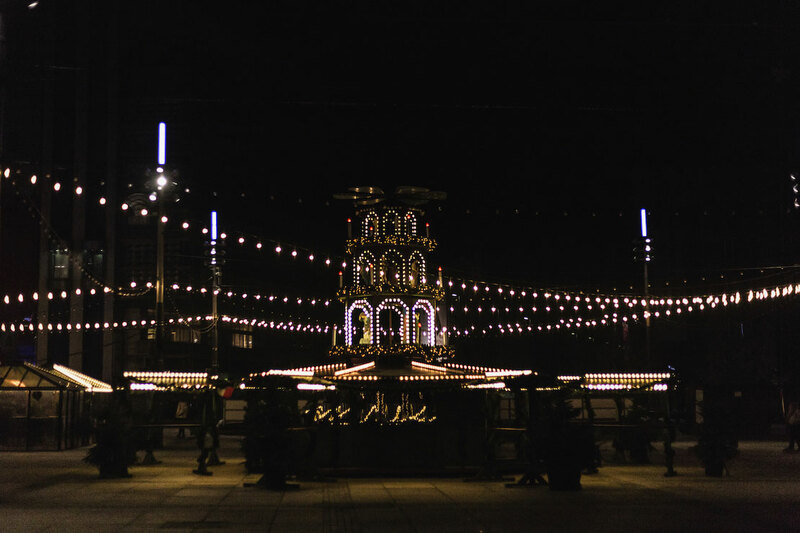 In season you can spend a whole day there, due to various attractions such as: Amusement Park, Planetarium, Zoological Garden, Rope Park, Skansen, Rosarium, the largest stadium in Silesia, narrow-gauge and cable railway, dozens of buffets, restaurants and pubs. Everyone will find something for themselves and will certainly call in again, not just once. Sightseeing time: the park is a vast complex with many attractions. There you can spend from one hour up to the whole day, and you will certainly not be bored. How to get there: trams 6, 7, 11, 19 and 23; Bus lines: 6, 820, 830, 830N, 840, 840N. 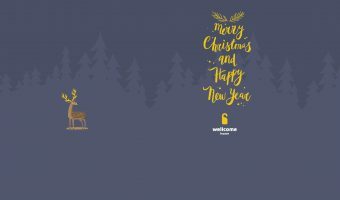 Where to eat: If you are looking for something really refined and original, then you should go to Villa Gardena located near the Planetarium and the Department of Radio and Television University of Silesia. The restaurant has won recognition and accolades year after year in the review of the best chefs in Poland. Let’s be honest, the market square of Katowice is not necessarily the most beautiful in the world, but after it was rebuilt we cannot deny its uniqueness and charm. Over 6 years’ work was intended to raise the prestige of this place and attract locals and tourists again. Currently, the market consists of four squares: Kwiatowy, Teatralny, Central and Recreational (over Sztuczna Rawa). And it is probably the last one that enjoys the greatest popularity among visitors. During warm days, you can rest there in comfortable deckchairs in the shade of plane trees and real palms, which are there for the spring and summer time. The sounds of sloshing water in Artificial Rawa will make relaxation more enjoyable. The above-mentioned Artificial Rawa is a fountain shaped as a river bed marked along the real river flow and covered under the surface in Main Square. 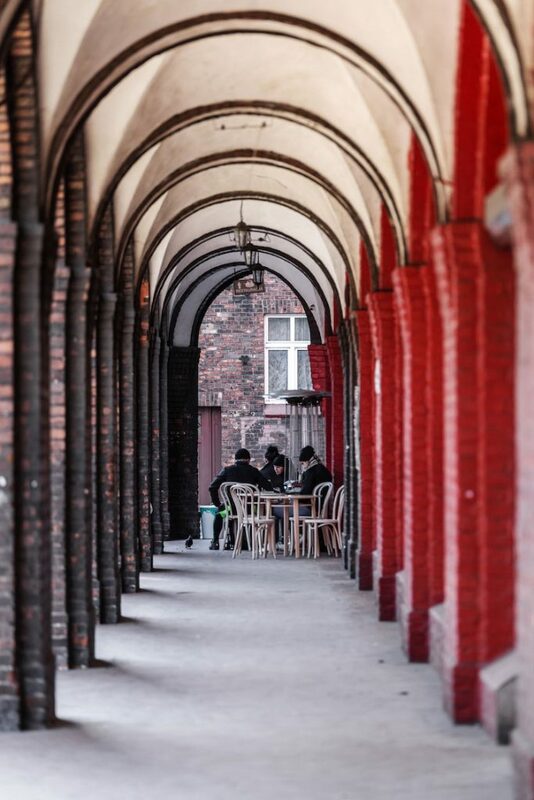 Where to eat: in season, we recommend considering Central Square (Plac Centralny), because this is where usually food trucks arrive from all over Poland. As there was already something for the spirit, we should conclude the article with something for the body. Mariacka is a short, only 378 metres long street in the centre of Katowice, which itself is a promenade along its entire length. This is where the party-life and culinary centre of the city are focused. If you fancy cool drinks in a friendly atmosphere and a chat with your friends after a long day full of tourist attractions, you should direct your steps there. Mariacka cannot be missed! Where to eat: In this topic, the choice is yours. Your evening will certainly not end in one restaurant or pub.